The family visited several community garage sales today while I binge watched Lost on Netflix. 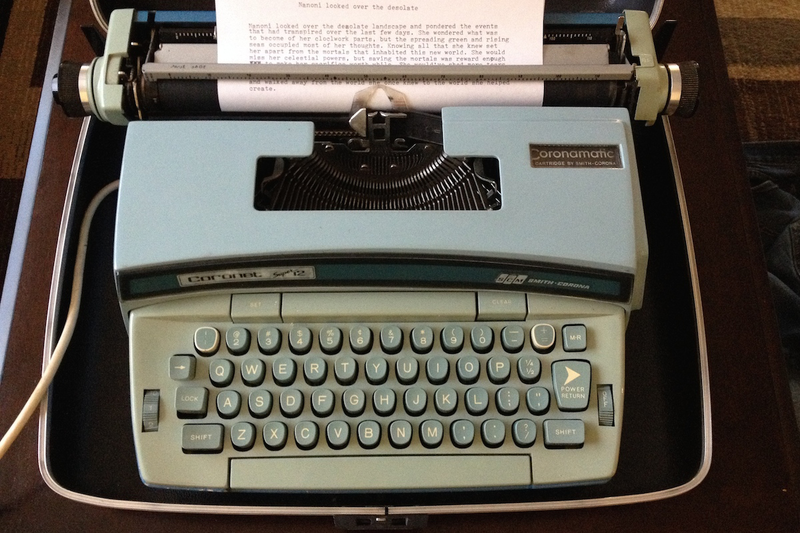 Anthony found an electric typewriter at one of the sales, and the owner offered it to him for free. He messed around with it and it now resides in his junk bed room. I personally prefer a non-electric for when the zombie apocalypse happens and we’re all without power, but I must admit to really liking the Smith-Corona cartridge system. I only wish I could achieve a justified typographic alignment on these old beasts. This entry was posted on Saturday, October 4th, 2014 at 18:22	and posted in Uncategorized. You can follow any responses to this entry through the RSS 2.0 feed.